So much yarn, so little time. : A new friend? or is one of us about to become dinner? 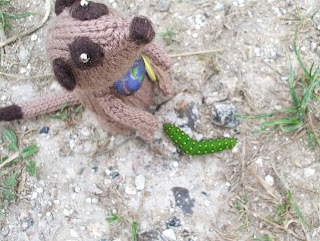 it's a caterpillar - but a chunky one! NIFTY!!! You CRACK ME UP!!!!!! Your meerkats have such little personalities! LOL!!! Great photo! Who can resist this meerkat!